TIFFIN — Both the boys and girls cross country teams for the Colonel Crawford Eagles headed to Hedges Boyer Park on Saturday, September 9 for the annual Tiffin Cross Country Carnival. On the day, the boys squad finished 12th overall out of 41 total teams and the girls finished 20th of 54 teams. Chad Johnson may have ran his slowest time of the season at 15:09.0 but finished as the top runner in the field of 284 total boys. Johnson, who posted a 4:52.3 average mile, defeated runner-up Brendon Siefker of Ottoville who crossed the finish line in 15:43.4. For the season, Chad has won the Early Bird Invite, the Bucyrus Elks Invite and now the Tiffin Cross Country Carnival. Other runners and their times for the Eagles boys squad were: Wade Hopkins- 17:28.1; Braxton James- 17:35.3; Alex Mutchler- 18:16.8; Zach Leonhart- 19:43.0; Mason McKibben- 19:56.2 and Alex Lawson- 20:25.9. The top finisher on the day for the Lady Eagles was Courtney Britt. Britt finished the race with a time of 20:49.7. 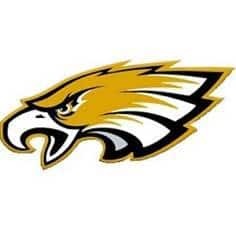 Other runners and their times for the Lady Eagles were: Ally Hocker- 21:06.3; Kaisey Speck- 22:38.0; Alison Manko- 22:44.0; Alivia Payne- 25:41.7 and Abby Hocker- 25:44.0. Up next for the Colonel Crawford runners will be a trip to Galion next Saturday to compete in the annual Galion Cross Country Festival.